Mummy’s Wish is delighted to announce the appointment of a new Board member, Giovanna Lever, founder and managing director of Sparrowly Group, who officially joined the organisation on 2 February 2019. Mrs Lever joins Trevor Cuss (Chairperson), Rachel Burke (Secretary), Bree Oelling (Treasurer), Melissa Weier and Annie Stonehouse. Our Board members bring a wealth of knowledge and expertise from a diverse range of business and commercial sectors and Mrs Lever said she was excited to bring her business management and strategic and commercial marketing skills to Mummy’s Wish. Mummy’s Wish CEO Emma Bryant said Mrs Lever’s appointment added further strength to an already robust board. “We are excited to announce the appointment of Giovanna to the Mummy’s Wish board,” Ms Bryant said. 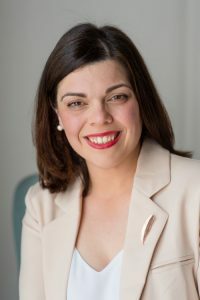 “As a leader in her field, Giovanna will provide valuable leadership and direction-setting as we strive towards our vision of supporting and empowering every mum in Australia diagnosed with cancer, with children aged 12 years and under, to manage the distressing impact her illness has on her family. Giovanna Lever has thrived in roles across multiple industries with InterContinental Hotels Group, Tourism Australia and Australian Rugby Union where she was known for the commercial success of her work. She also gained a reputation for inspiring teams to give their best and her ability to facilitate competing sets of stakeholders to work together towards common goals. With 20 years experience working as an integrated commercial marketer in tourism, hospitality, entertainment and sport behind her, Giovanna began Sparrowly Group with a clear vision to enable practical and sustainable outcomes for businesses and their people. She has been at the helm of high profile projects for destinations, businesses and brands across Australia. Mrs Lever is a regular keynote speaker, speaking to emerging leaders on topics including management, leadership, business, governance, marketing and crisis management.